DeSales Catholic High School is a small private high school in Walla Walla, WA. Student enrollment usually hovers around 90. Having a small student body allows for the easy creation and upholding of a tight-knit community of students, parents, teachers, coaches, etc. I have been fortunate enough to find myself warmly welcomed into this tight-knit community over the last two years by students and teachers alike. Last year, I began working at DeSales as a tutor through the America Reads/America Counts reading and math enrichment program. I found the experience incredibly rewarding and sought ways to become more involved in the DeSales community. 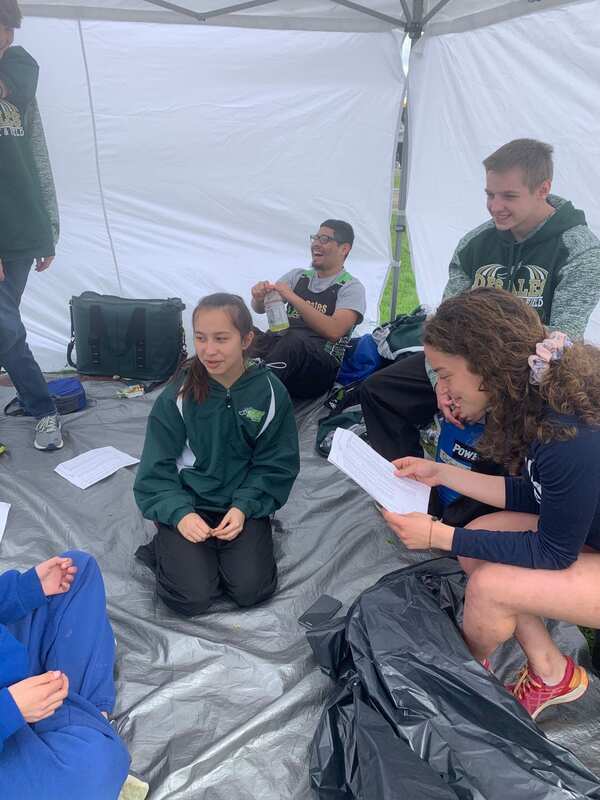 This year, in addition to tutoring through the same program, I was able to secure the Whitman Internship Grant which allowed me to volunteer coach the DeSales track team. I have been working with the team a few days a week since February, and have found the track team to be another great facet of the DeSales community. As a member of Whitman’s Cross Country team, I have more experience and expertise in distance running than in sprinting. Accordingly, I spend most of my time training with and advising the distance runners on the DeSales team. 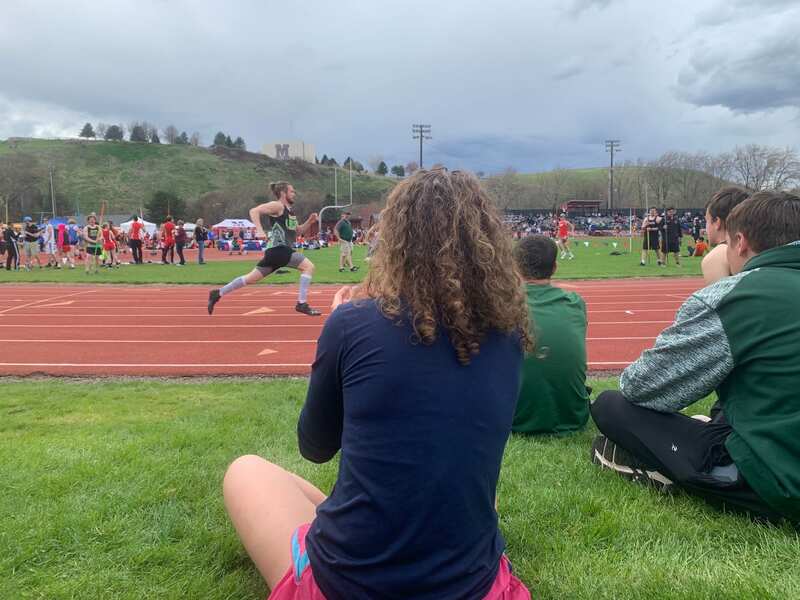 After the athletes quickly cover the day’s logistics with coaches and do warm-ups and drills, the distance team usually peels off from the sprinters and those competing in field events. When the athletes do repeats or circuits, I help by facilitating transitions to new exercises or distances, and advising about pace, form, and injury prevention. If the distance team does a longer, steady run, I usually join, conversing with the athletes about running or their lives in general. I know many of the students on the team from having tutored them previously, and this has helped me feel welcomed by the team. Coaching informally with students I know has been a great way to dip my toes into a profession I may be interested in pursuing after Whitman. Since I began tutoring in high school, I have been interested in a career in education. This coaching experience has been valuable in that it is very different than tutoring and teaching in a classroom setting. With tutoring or teaching, there is usually a clear goal and a linear way to achieve that goal. As the tutor, I have a way in my mind of how to guide the student to reach an answer or conclusion on their own. With coaching, the task at hand is less about guiding towards a specific target, but more about giving individualized, tailored advice to help the athlete succeed. This is a very different type of mentorship, and it has been very helpful for my professional development as an educator to get comfortable giving this type of guidance.